Time to break out the pumpkin! 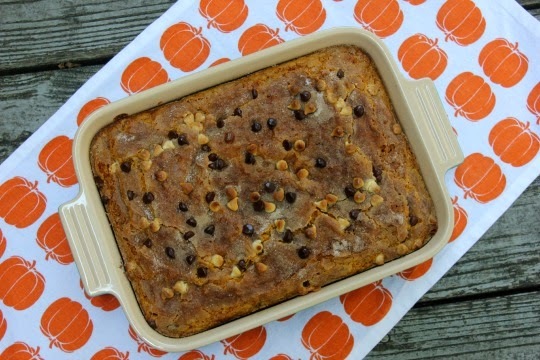 pumpkin dessert of the season. 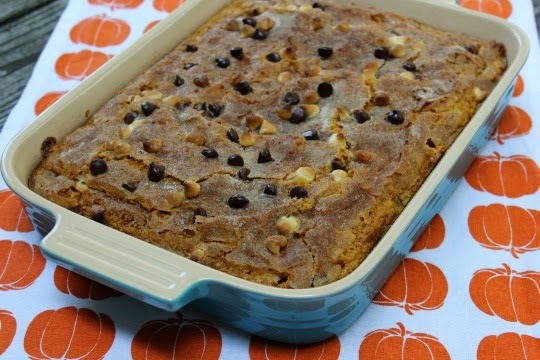 Pumpkin cake with a mixture of white and dark chocolate chips. The recipe did not disappoint! The cake is flavorful, moist and delicious. It's definitely a keeper in my book! 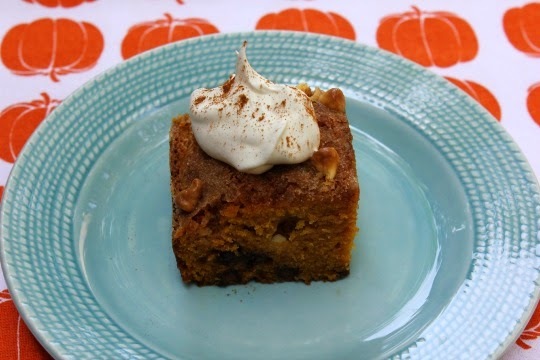 Serve with whipped cream or a scoop of vanilla ice cream - yum! Preheat oven to 350 degrees. Spray 9 x 13 pan with cooking spray. In a large mixing bowl, whisk together flour, cinnamon and baking soda. mixing just until combined. Fold in chocolate chips. Pour cake mix into prepared pan. To make topping mix together 1/4 C sugar and 1/2 tsp. cinnamon. Bake for 45 minutes or until toothpick inserted comes out clean.